This is where there’s an info dump. 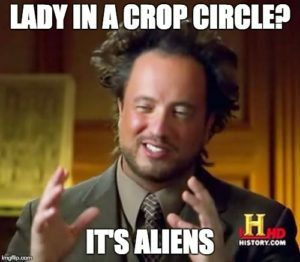 Crop Circles. Yes, this segment went to weird places. Our cover art is by justira. Our music is by BoxCat Games and our instrumentals are by Chuki. Tracks this week are Fall, Blessed, and Happy Summer Love.